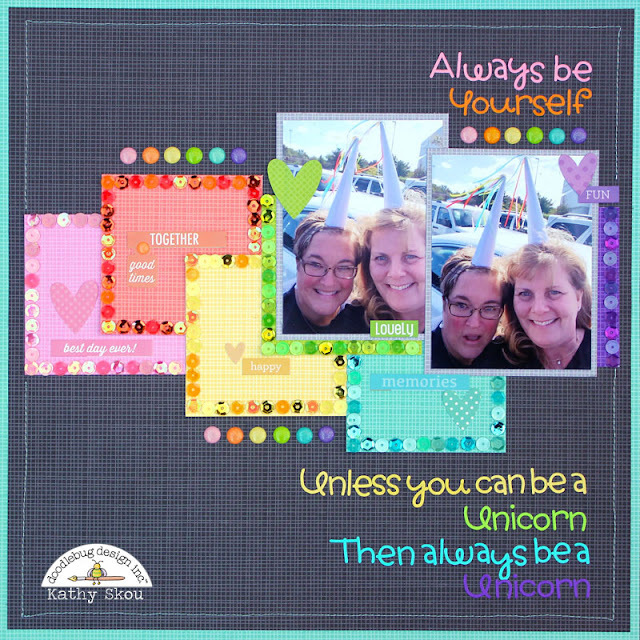 Hi Everyone, it's Kathy today with my take on the Meme Challenge! 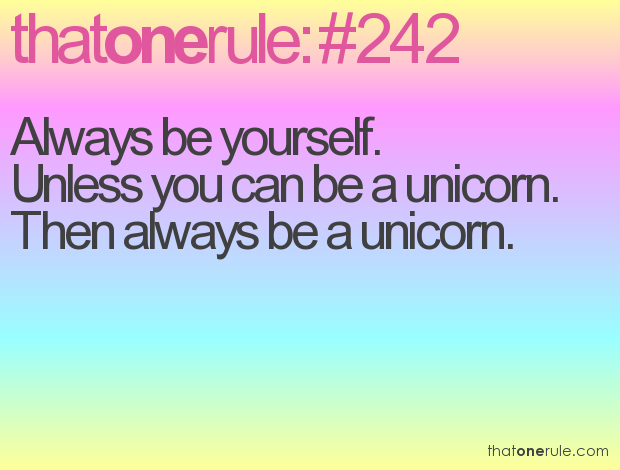 Can I just say Unicorns, Rainbows and Glitter? Here is the meme that inspired my layout, I've always loved this saying!!! A couple of months ago, I met up with a scrappy friend for some shopping and lunch. 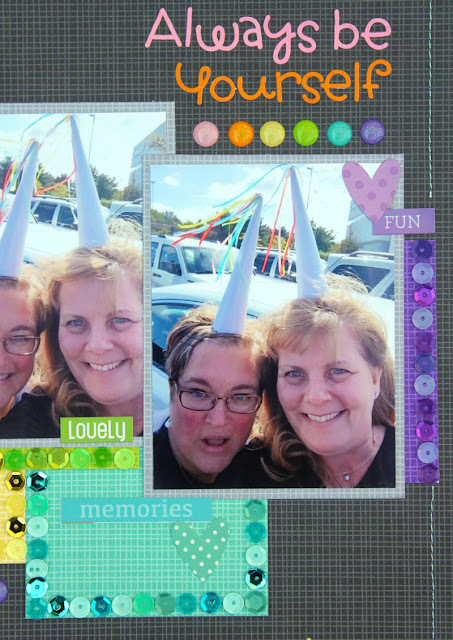 We happened upon some Unicorn party hats, and well, only a true friend will stand in the middle of a mall parking lot with you and take a selfie wearing unicorn horns! Unicorns and rainbows, what could be better! I used some Gingham Linen Petite Prints for my papers. The title is written in letters from the Teensy Type Alpha Sheets. Of course if we are talking unicorns and rainbows, there needs to be some sparkle, so I added some Doodlebug Sequins and some Glitter Sprinkles. I finished things up with some word and heart stickers from a variety of different Doodlebug collections. 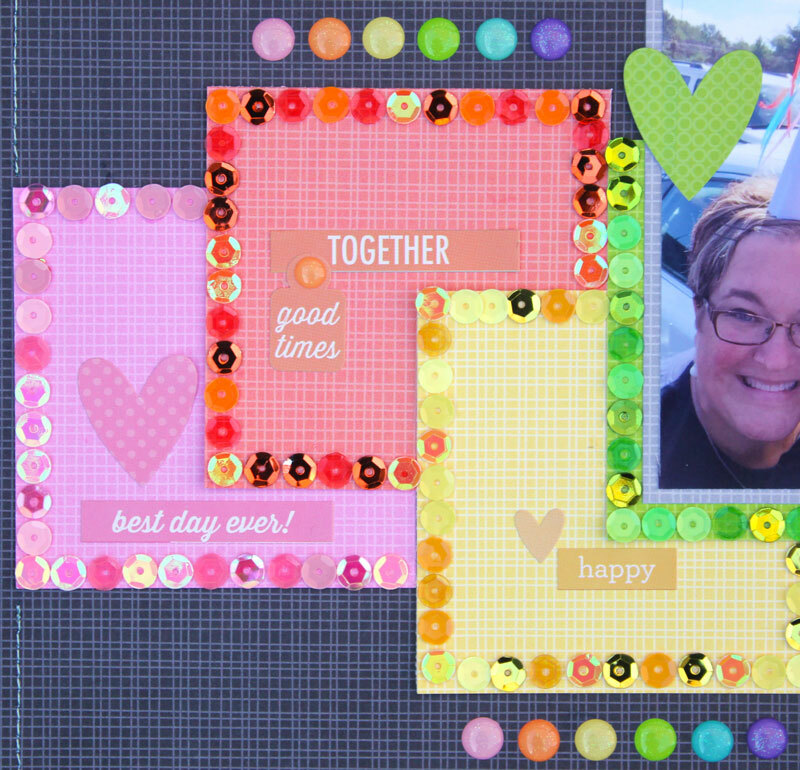 That is the beauty of Doodlebug... you can always find an embellishment to match! That's it for me today, I hope you've enjoyed all of the Meme inspiration from the Design team! I hope that you all have a very Merry Christmas!